Are you one of the "Cumberbitches"? We are legion for we are many. "Cumberbitch" is the officially accepted term for a female fan of Benedict Cumberbatch, eternal Tumblr Prince and occasional life ruiner. Although some find the term offensive, the power of the collective of "Cumberbitches" is so great that we basically got Cumberbatch elected TIME's Most Influential Person. (Why, yes, I do think we deserve full credit for it. TIME and Cumberbatch had nothing to do with it at all.) However, it turns out that it isn't just other fans who might take some issue with the name of the female fan base. Apparently, Cumberbatch himself hates the term "Cumberbitches" — and his reason will just turn you into an even bigger fan of his. "It's funny, and I'm flattered," the Sherlock actor began by saying during a People photo shoot. "But on a serious note, come on, give yourself more power as women. Don't just call yourself b****es! I know it was a joke, and more of an empowering thing. The majority of them are smart and savvy and just having fun, but it's getting out there. It sounds a bit [rude]." Is anyone else getting Mean Girls' flashbacks right now? After all, as Tina Fey's character Ms. Sharon Norbury told the group of collected mean girls or wannabe mean girls: "You all have got to stop calling each other sluts and whores. It just makes it okay for guys to call you sluts and whores." And let's be real. As empowering as it might be to call ourselves b****es like it's not an insult, like the word belongs to us, it's not anything you want your grandmother to hear you saying. However, what Cumberbatch doesn't seem to know is that there is already an alternative name for his female fan base: Cumberbabes. It's just that the important thing here became to get the fan name as close to his actual name as possible — and "Cumberbitch" only requires you to change one letter. However, he still offers some other, more empowering names we can use as alternatives to the moniker he has deemed to be a bit rude when you look at it with any degree of seriousness. "Cumbersomes? Cumbercollective? Cumberfans?" he said. "There's lots of stuff!" 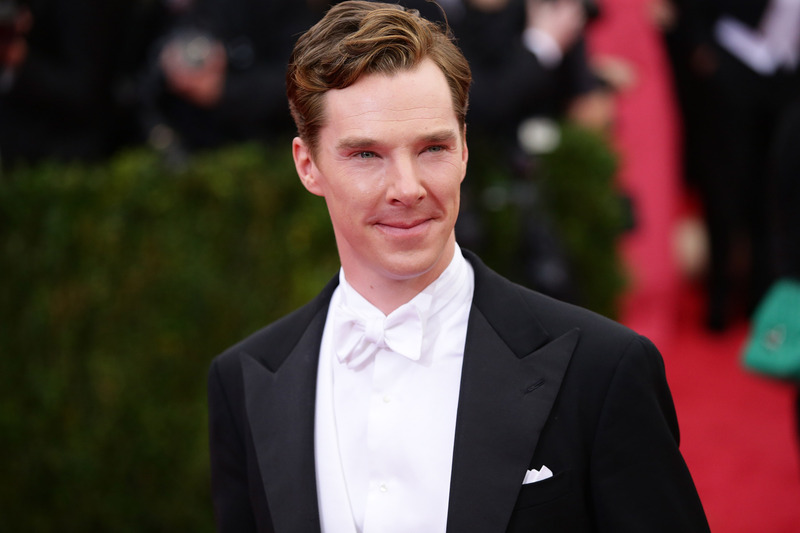 While I enjoy the word pun inherent in Cumbersomes, I think I personally prefer Cumberbabes. Not just because it's a lot closer to his last name, but also because the name of the female fan base becomes a lot less empowering if we're not the ones who get to choose it. Don't get me wrong. I believe that the actor has a point and that women shouldn't describe themselves as b****es in a serious context (but also that we're the only ones who are allowed to use that word as a joke). However, the reason that "Cumberbitches" is empowering instead of insulting is because the female fan base collectively agreed on it and embraced it as what they wanted to be called. Changing it because they're told to, and picking a new name chosen by someone else, undercuts that empowerment. Especially if — sorry Cumberbatch — the person whose orders the female fans are following is a man. So if we're going to consider our icon's advice and change our name, it should be to one of the alternative names that we've already chosen for those times when we want to talk about our love of Cumberbatch around our parents and grandmothers and children. He, however, should feel free to call us the Cumbersomes if he wants to. It's like the Beyhive, but wittier.